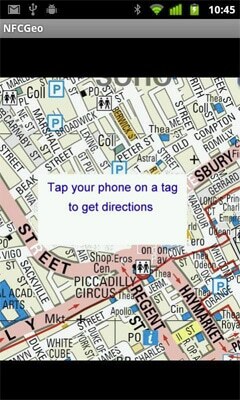 The new tag data format will allow NFC phone users to access location-based information without having to go online. NFC specialist Near Field Solutions has introduced a new NFC tag data format designed specifically to carry location information. Geo RTD is based on the NFC Forum‘s Record Type Definition (RTD) specification and uses the ‘external’ namespace. This was introduced by the NFC Forum as a way for organisations to define useful record formats without the need to go through a lengthy standardisation procedure, the company explains. Geo RTD allows companies deploying smart posters to encode location information in a tag in a way that allows the act of reading it to launch an NFC phone’s mapping or satellite navigation software. This will allow the user to instantly see the location of a place of interest — such as a museum, art gallery or concert hall — and plan a route to the destination from their current location if they have GPS. Using sat nav software already on a phone, rather than requiring the user to go online, makes it more likely that a user will be able to see the desired destination on a map and plan a route to it without having to use online data, Needham adds. 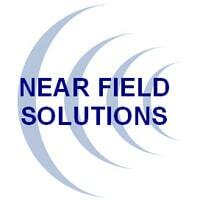 “Near Field Solutions have agreed to make the specification for this new RTD freely available so that mobile OEMs and NFC applications companies can use it across many devices providing interoperability and a consistent user experience,” says the company. A copy of the specification is available on request from Near Field Solutions. An NFCGeo Android app supporting the new RTD is also available from Android Market free of charge.